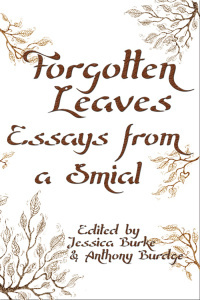 Our Tolkien essay collection, Forgotten Leaves: Essays From a Smial, is now available for purchase for the first time since the 2015 NY Tolkien Conference. These are the “Advance Copies,” which debuted during the Conference in a small panel with our contributors. It is published by our Independent Press Myth Ink Books.